We’ve finally come full circle. One of the first pioneers of the now popular open-world survival genre Rust is finally leaving Early Access on February 8. It’s been a long four years since its initial release back in 2013, just hot off the trails of DayZ‘s surprise success. You can read all about the plans here on the official website. The Rust team has made one thing clear: this isn’t a momentous occasion. While it’s great that they’re officially leaving Early Access, they see it more as just another step in the development process. Nothing more, nothing less, which is why they’re not planning a big launch celebration or anything of the sort. 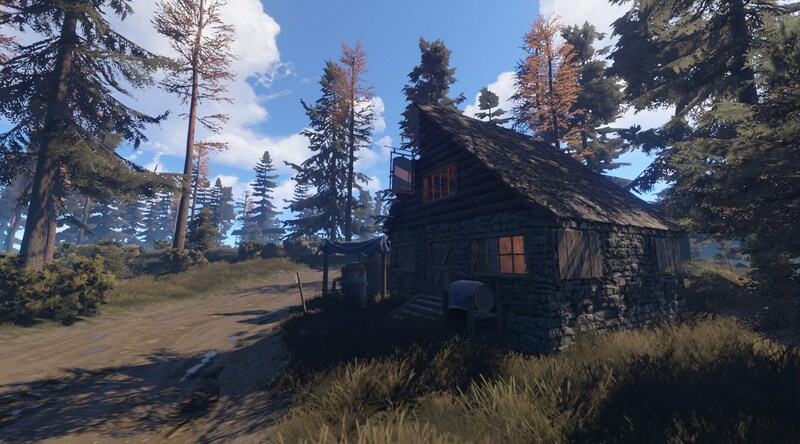 To the team, the state of Early Access allowed them to properly envision what Rust was meant to be. The developers even cite that back during its initial release, the game had zombies in it. After some testing and player feedback they removed them after they came to the conclusion that zombies were just unnecessary. Surprising, huh? Moving forward, on launch date the game will now have two different builds available. The “Main Branch” is essentially the main, stable version. The “Staging Branch” is the version that’s updated daily with the newest experimental stuff. You’ll be able to have both versions installed if you want to try out the new stuff right away. Lastly, the game’s price will jump up to $34.99 from its initial $19.99. If you’ve been interested in Rust or have been wanting to try it, now is probably the best time to grab a copy while it’s still cheaper. As always, we’re always really excited when games leave Early Access, but Newman and the rest of the Rust team really emphasized that this is just another step in their long-term plan. Nonetheless, they’re extremely grateful to all the players who have been keeping up with the game thus far.